Length: Select a grab bar that is a suitable length for your bath or shower area. Finish: Consider a grab bar that matches your faucet and other fixtures. Weight Capacity: Choose a grab bar that at least meets or exceeds ADA requirements (250lbs). 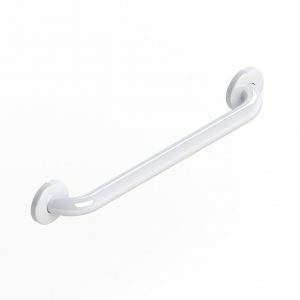 Installation: Grab bars that feature an easy or secure mount option have a design that allows for secure installation into a stud or wood backing when installed at any angle. When using secure mount type of anchors, there is no need for installation into a stud or wood backing. Grip Surface: Consider a grab bar with a textured surface or grip feature that provides a better hold in a wet bathroom environment. How many grab bars do I need and where should they be installed? Health professionals such as Occupational Therapists are the ones who typically recommend grab bars for your bathroom. Some medical and healthcare equipment consultants and technicians are also able to provide suggestions. Although each person’s situation is unique and needs to be assessed individually, it’s common to recommend at least one grab bar along the back wall in a tub or shower; one grab bar along the shower head wall or whichever end of the tub/shower you use to enter and exit; and one grab bar near the wall by your toilet. Where can I find grab bars? You can find a variety of grab bars at Advanced Medical Healthcare Equipment’s store in the heart of West Vancouver. You can also find grab bars at other medical equipment suppliers, home renovation stores, and some pharmacies. Temporary tub rails can also be found at your local Canadian Red Cross (through their Health Equipment Loan Program). How can I install a grab bar? An individual can generally install temporary grab bars on their own. However, permanent wall-mounted grab bars require professional installation. They must be anchored into the wall studs or using special secure mount anchors and bracing to support at least 250 lbs of force. 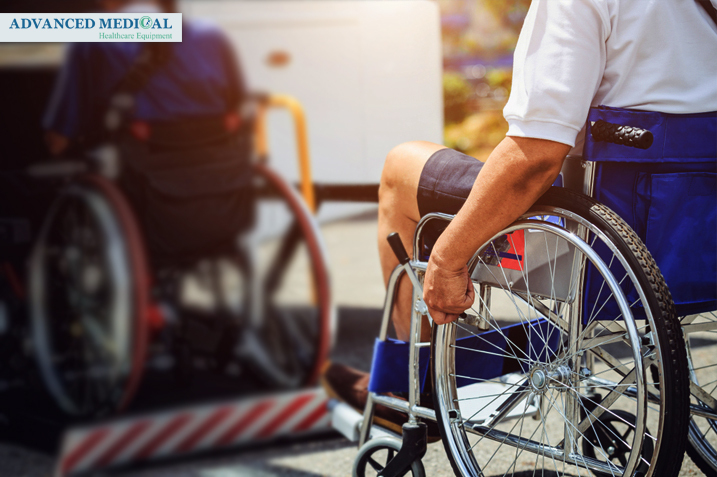 Advanced Medical Healthcare Equipment can provide a complimentary home safety consultation followed by delivery and installation of grab bars for a reasonable fee. How much does a grab bar cost? The average cost of a grab bar can vary from anywhere between $30.00 to $120.00 or more (not including installation fees). At Advanced Medical Healthcare Equipment, we carry Health craft Easy Mount grab bars that are made of stainless steel with a white or knurled finish. They come in 12” to 36” lengths with a 400-500 lb weight capacity. We also carry Moen Secure Mount grab bars that are made of stainless steel with a variety of finishes (brushed or satin nickel, chrome, rubbed or old-world bronze, polished brass, stainless, and white). They come in 12” to 42” lengths and most support up to 500lb weight capacity. 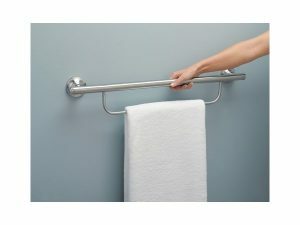 How can Advanced Medical help me with grab bars? 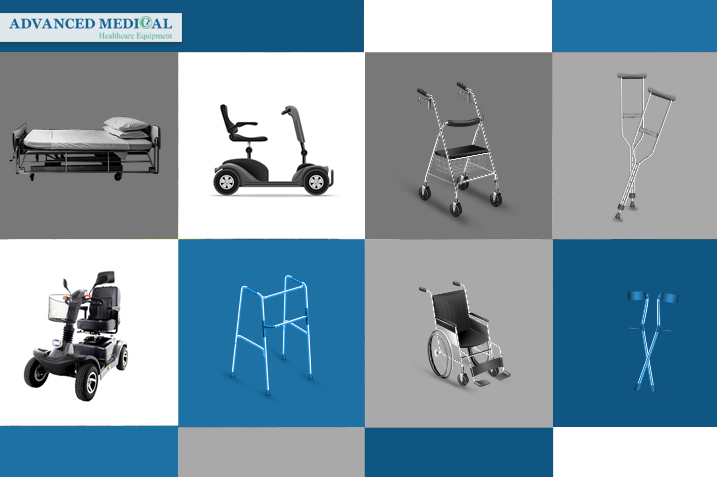 First, please contact Advanced Medical Healthcare Equipment to discuss your needs. We will check with you to see if you’re working with an Occupational Therapist (past or present). If not, we will encourage you to contact the Vancouver Coastal Health’s Home and Community Care Services for a referral to publicly subsidized services. We will make sure you’re aware of your options. If you’d like to purchase grab bars with us (and prefer not to go through the health care authority for an occupational therapist), we will support you by providing a complimentary home safety consultation. We will schedule an appointment with you to come to your home to look at your bathroom, understand how you use it, and identify the challenges and needs you have. We will take measurements and mark the areas where your grab bars will need to be installed based on the user’s functioning, height, reach, and basic body mechanics. After that, we will schedule a time with you for delivering and installing your grab bars. One of our professional installation technicians will come out to your home to install the grab bars and provide you with the opportunity to practice using them to ensure they are working properly for your needs.